Greg Piepel, PNNL Lab Fellow, and Fellow of the American Statistical Association, was elected as a Fellow of the American Society for Quality (ASQ) in recognition of his significant contributions to quality. On September 11, 2008, the Board of Directors of the ASQ elected Piepel a Fellow of the Society for his "outstanding contributions to the experimental design and analysis of mixture experiments; for important applications of statistics and quality to nuclear waste immobilization; and for service to the profession." Piepel has worked for over 30 years developing and applying statistical methods for mixture experiments. A mixture experiment involves mixing ingredients of an end-product in various percentages (which must sum to 100) and measuring properties of the end-products. Piepel has developed and applied statistical methods for designing mixture experiments as well as understanding, modeling and optimizing. Applications have included immobilization of nuclear waste in glass and grout, alloys and other materials, pharmaceuticals, and food. 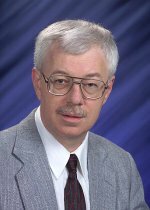 Greg is one of the top two experts in statistical methods for mixture experiments and has taught short courses in the topic for many years. ASQ is a knowledge-based global community of quality experts, with nearly 85,000 members dedicated to the promotion and advancement of quality tools, principles and practices in their workplaces and communities.